"The innovative technology, air-cushion landing system, allows the drone to take off without an air strip. This technology is absolutely unique. The drone is able to take off from soft soil, water, marshy terrain and loose snow. It can also land on these surfaces, whereas other aircraft can neither take off from nor land on them," the press service said. The drone model presented at Innoprom has already been tested in Zhukovsky, a city in Moscow Region that hosts the MAKS air show. 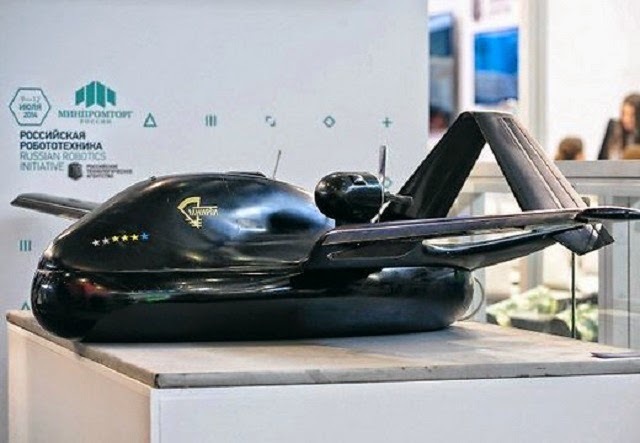 The unmanned aerial vehicle (UAV) has no analogues in the world, and other models with air-cushion landing systems are not in mass production. In ordinary life, Chirok can be used to observe and assess different situations – to monitor the threat of fire in forests, disaster areas and road and traffic conditions, as well as for patrol. 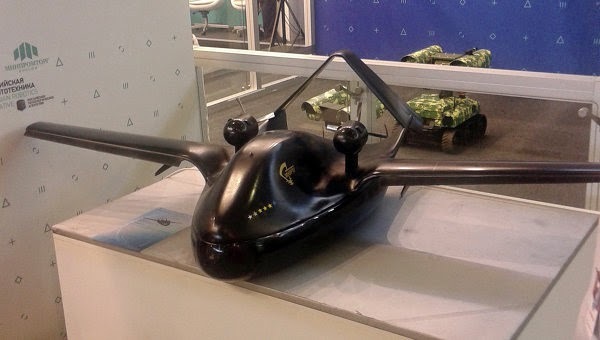 As for military utility, Chirok is intended for reconnaissance and can also be used as an offensive operations drone, capable of carrying weapons. Chirok’s maximum takeoff weight is up to 700 kilograms, the payload weight limit is up to 300 kilograms. The UAV can carry opto-electronic devices for various types of monitoring, and the transport of bombs, rockets and high-precision missiles. The drone can rise to a height of 6,000 meters (approximately 19,600 feet), with a range of up to 2,500 kilometers (approximately 1,550 miles). Currently, specialists at the military-industrial complex are working on further improving Chirok’s technical capabilities. Russia’s Innoprom is an international industrial exhibition held annually in Yekaterinburg, in the Ural Federal District. This year the exhibition opened July 9 and runs through July 12.